Over 60 people attended the event and were treated to presentations on a range of topics under the meeting theme of ‘Iodine – the European Landscape’. 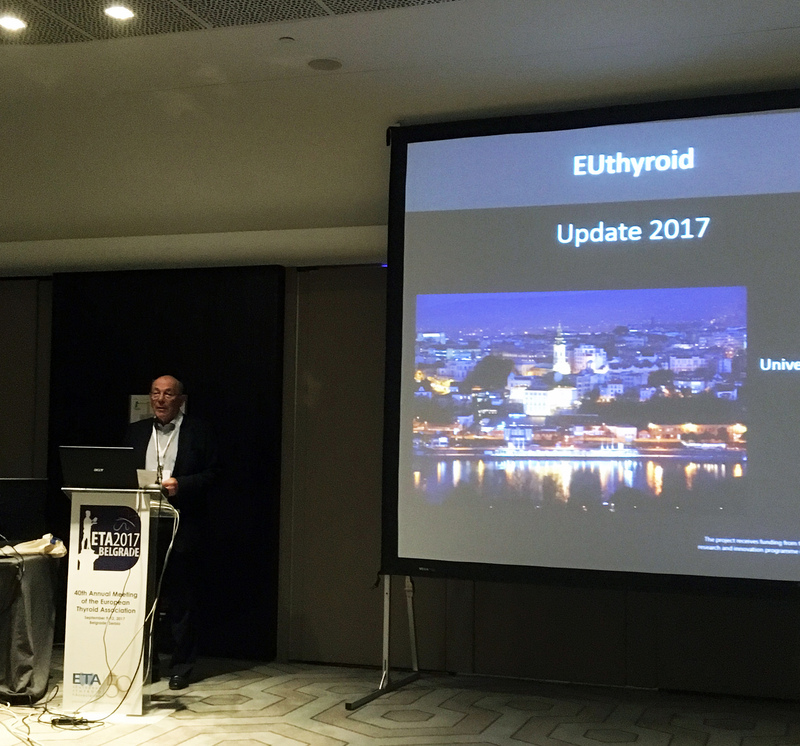 The meetings featured presentations by EUthyroid consortium members as well as a number of guest speakers from organisations including UNICEF, EuSalt and the World Iodine Association. Talks ran the gamut from monitoring and improving iodine intake through evaluating IDD prevention programmes and addressed issues such as universal salt iodisation and health policy. What do we need to evaluate IDD prevention? Has the UK really become iodine sufficient?